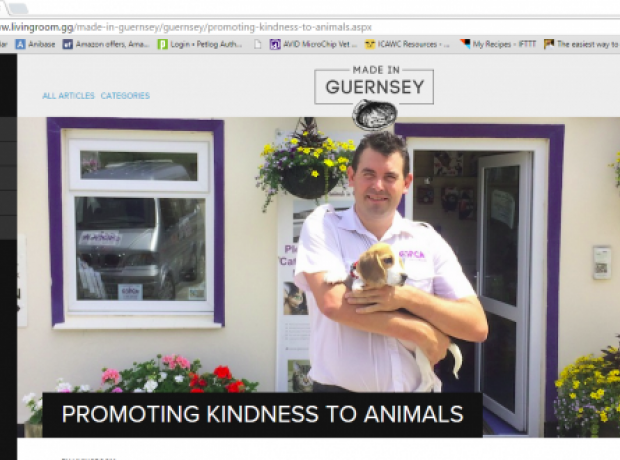 We are proud to have been featured in a recent article on Made In Guernsey! Made in Guernsey is the island’s premier online lifestyle and property publication, produced by the team at Guernsey estate agents Livingroom. It showcases what makes our precious island so wonderful, and we are delighted to now be a part of it. Our Manager Steve Byrne discussed with them the origins of the GSPCA, its hopes for the future, and why Guernsey’s community spirit and giving culture makes it such a fantastic place for a charity to operate. The GSPCA would like to extend a huge thank you to Richard Hardie (you may know from the Livingroom) who between the dates of Monday the 14th October and the 13th November did not drink any alcohol to raise funds for the GSPCA. Richard who even went on holiday during this time and attended the GSPCA Masquerade Ball managed to stay on the soft drinks and raise a grand total of £1,120. From Monday the 14th October until and including the 13th November Richard Hardie (you may know from the Livingroom) will not be drinking any alcohol to raise funds for the GSPCA.